episode 47 and I knit socks now! Yes! 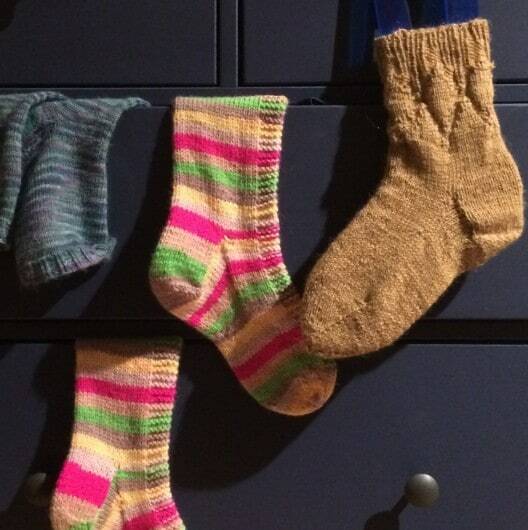 You read it correctly – I am finally knitting socks! This episode contains my socks-ploration, a yarn review of WYS Illustrious and a preview of In The Footsteps of Sheep, by Debbie Zawinski. You can listen on iTunes, the podcast app, or search your favourite podcatcher. 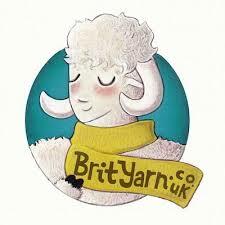 Find the very best of British wool and an incredible range of patterns by British based designers at BritYarn. New in stock this month Lincoln Longwool and seasonal shades of WYS Signature Sock. Please may I now state for the record that I now knit socks! This is a totally new development for me! Socks were never on my agenda because I felt there were other knits I wanted to try first. But as I always say knitting is a constant learning curve and it was probably inevitable that I would get around to socks eventually. Recently I have knit the Round and Round socks by Joy McMillan, in BritSock, Rye socks by Tin Can Knits, in WYS Aire Valley Aran and Brixham Socks, by Katya Frankel in WYS Illustrious DK.. The Brixham Socks have just been re-released as a single pattern this week. If socks are still on your list to knit – or any garment or technique, really – do remember that knitting is a very organic thing. Don’t worry that you don’t have all the strings to your crafty bow – there is always time to learn, when you’re ready. No amount of praising from other sock knitters or claims that “They’re so easy and so quick and so transportable” made me want learn until the time was right for my own sock-exploration. I think it also takes the right kind of inclination + yarn + pattern combo. I am grateful to the #GBsocksawayKAL and The Knitting Goddess for providing me with all those things at the same time! Thank you to Isla, from BritYarn, who sent me a ball of Illustrious to try out. WYS Illustrious DK is 70% Falkland Merino and 30% British Alpaca. It is the first luxury fibre yarn from WYS and comes in 13 colours. I have been a bit critical of some of WYS colours in the past, but there is a good range here. The yarn feels very smooth and soft – lovely and velvety and it knits very fluidly. There is a halo of surface fibre – those long, silky alpaca fibres – and the knitted fabric feels very warm indeed. I knitted the Brixham socks, by Katya Frankel, in this yarn and I was really chuffed to see the gansey diamond pattern nicely defined in this yarn. 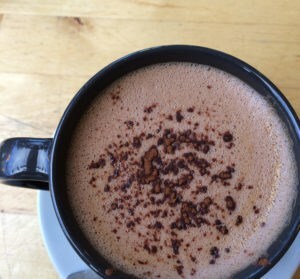 Listen in for the whole review. Illustrious is available in 100g/225m and costs £10.95. 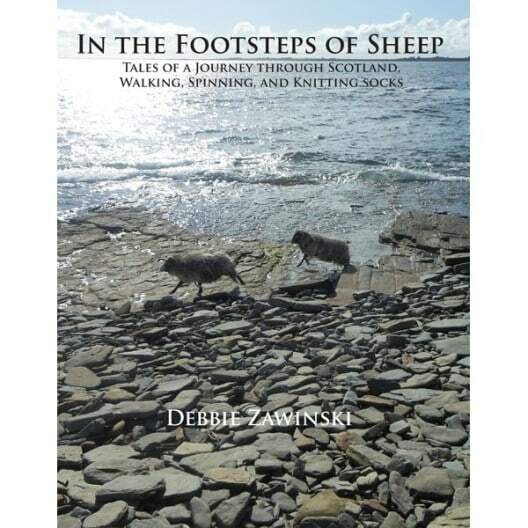 On the subject of socks…I got a lovely preview of In The Footsteps of Sheep, by Debbie Zawinski recently. 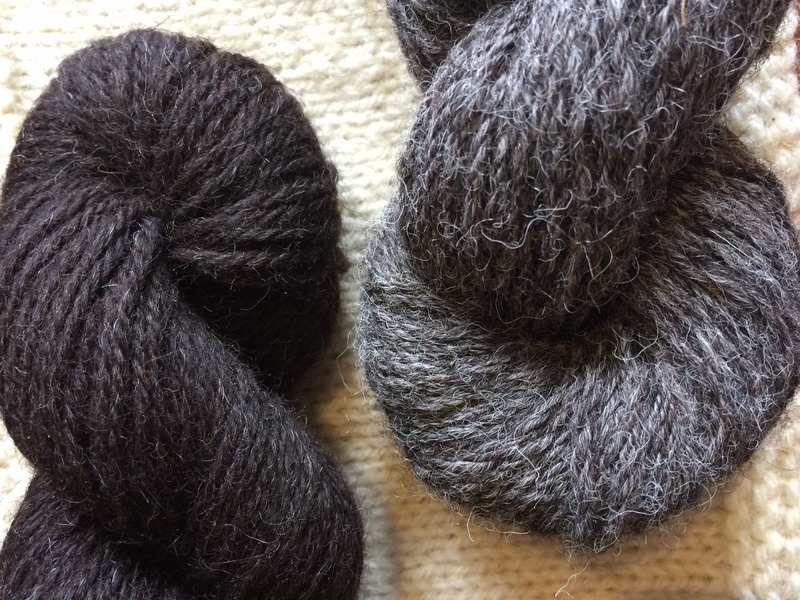 Debbie undertook a summer of walking through Scotland; spinning wool from native sheep as she walked and designing and knitting socks to remind her of her journey and of those breed sheep. The book is laid out in chapters by breed and I really like Debbie’s writing style; you feel like you are on this journey with her as she walks and spins her way over Scotland, picking up pieces of fleece as she finds them.There is a lot of lovely information about each location and the people she meets there, of the landscape and, of course, the sheep! Beautifully written and presented, this will make a wool lover very happy this Christmas. The book is available from Schoolhouse Press for $26.95. It is available in some bookshops in Scotland. I suggest asking your local bookshop or LYS if they can get you a copy. It is not available via the UK amazon, but you can find it online here. I believe Be Inspired Fibres also have copies. It retails around £21. Thanks to Debbie for a little sneaky peek at her lovely book. A couple of weeks ago Isla told me that she had got a really local yarn in her shop. I had to rush over to BritYarn and buy some! 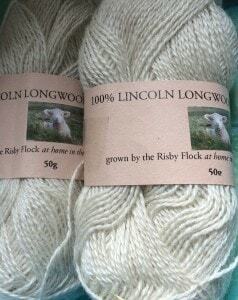 The yarn is Lincoln Longwool Lambswool, which is from a Lincolnshire farm – The Risby Flock. It’s a very lustrous yarn and it is available in 3 weights – aran, DK and laceweight (which is what I got!). Prices start at £5. Lincoln Longwools are one of the largest British breed sheep and provide one of the longest and most lustrous fleeces. It is also purported to take dye well, though I love the off-golden hue of the natural colour! If you are looking to take part in the breedswatchalong why not give the Lincoln a go? Isla had sold out of the DK, but has restocked and that’s all she has in that weight until the next spin. I love that Isla can provide a selling platform for this important, vulnerable breed and by buying this yarn we can help maintain the Risby Flock! If you are looking to buy some yarn in time for Christmas, remember that Isla’s last day for posting in time for the big day is 21st December for the UK and 15th December for Europe. The last posting date of 2015 is 23rd December and any sales after this will be posted out on 5th January. I am back next week with a wee podcast on clubs and kits! 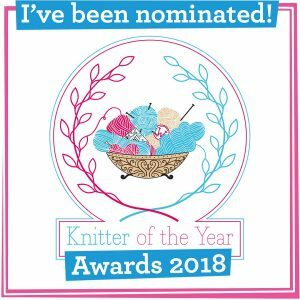 See you next Friday – Happy knitting! | Information Music: Carefree by Kevin McLeod, Positive Space and Interlude by Cosmic Analog Ensemble. G of the Bang by Doctor Turtle. All on FMA. Lovely podcast, I really enjoyed hearing about your sock knitting exploits, it reminds me I need to get on and knit myself some more socks. I too have a condition which causes me to have ice cold hands and feet (I tend to layer my socks). Its nice to be reminded that there are patterns for thick socks out there, I definitely need to knit myself some in a lovely warm wool. 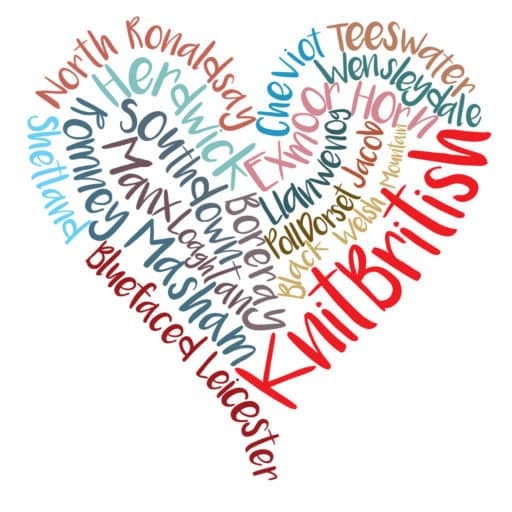 Also Lincoln Longwool is fabulous (I still need to knit with mine), but couldn’t agree more about it being a special wool, I may be biases as it is from my home county. Just listened to the latest episode. I too knit my first pair as a part of Isla’s KAL and I’m now on my third pair – desperately trying to finish it for my Mum’s xmas gift. I always thought sock knitting was a lot of work for something you couldn’t really show off, but after wearing my first pair for several days and loving how they feel, I thought, actually, I can show them off TO ME!!! And unlike mittens or a shawl or a hat, I can knit something I’ll wear a lot indoors. So yes, I have lots of single skeins in my stash and I forsee a lot of socks in my future. And thanks for introducing me to Debbie’s book – it is right up my street and I’ve gone and ordered a copy from I Knit, so really looking forward to reading it. What with that and Kate Davies’ Buachaille book coming soon, British wool, knitting and walking and knitting for/while walking (all of my favourite things) seems to be covered. Oh, I didn’t know you were a newbie sock knitter too! I really must do a show in the new year on the misconceptions around knitting certain objects or techniques. I really did think that socks were possibly a difficult thing. People would say turning a heel was a thing that needed to be achieved and it made me feel it was a tricky thing to do. 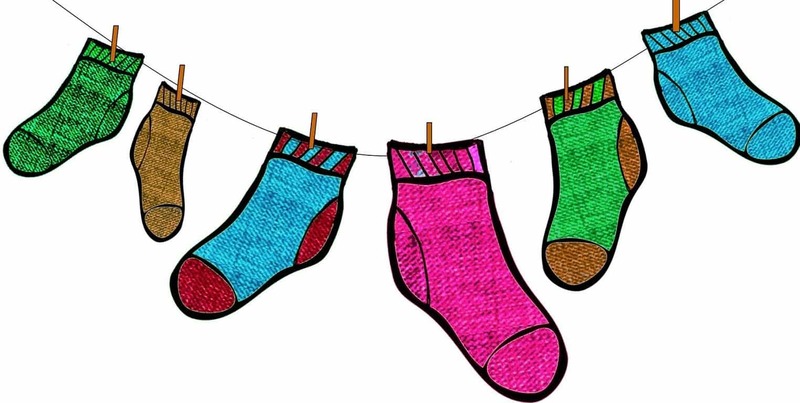 Well done on your socky journey too! Yes, if someone had told me that an after-thought heel was not really any trickier than doing a thumb on a mitten, I might have knit socks sooner. A misconceptions show would be good. I think you’ll find fair isle has been made to be a lot harder than it is (of course I haven’t done any fair isle that involves steeking yet but it’s coming up and I’m going to also put it down to something more scary than it really is). I really enjoyed your sockplorer episode! Do you know of a British, DK, sock wool (i.e. With some nylon content)? I’ve downloaded the Brixham pattern you suggested, but want something hard wearing. Many thanks.